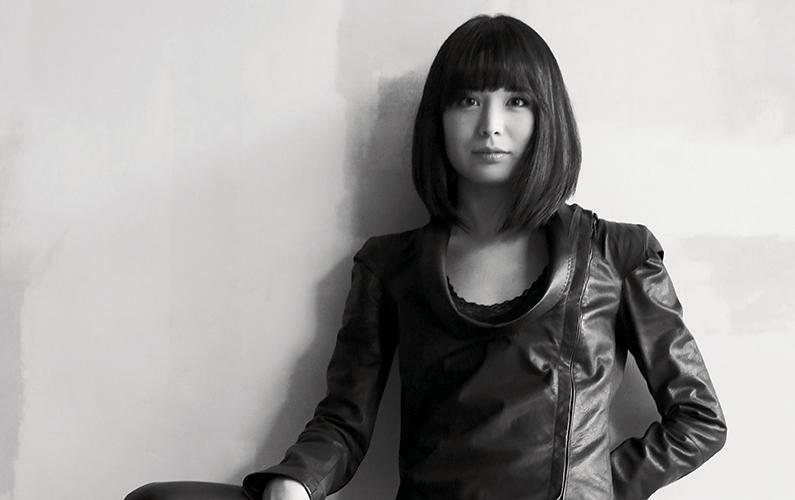 German-Japanese pianist Alice Sara Ott has recorded Chopin before – but not like this. Signed to Deutsche Grammophon, she has recorded the composer’s complete Waltzes for piano – along with discs of Beethoven, Liszt, Tchaikovsky and Musorgsky. Now she returns to Chopin, but with the Broadchurch composer Ólafur Arnalds for company. The Chopin Project is their collaborative album, featuring recordings made by Ott on a less-than-perfect piano, complemented by pieces for strings from Arnalds. My mother is a professional pianist, so there is always music in our house. That means the first classical music I heard was probably when I was still in her belly! I think my first concert experience was when three years old, and I had to go with my mum as she couldn’t find a babysitters. At that age, you’re not able to communicate with adults, but every child still wants to be understood. Everybody wants to find a way of expressing themselves other than with the voice, and I was fascinated by the idea of about 200 people listening to someone in a room, playing piano, without talking. I think I started playing piano as a simple wish for being understood and getting some attention. It goes beyond spoken communication. The music was not necessarily what moved me, it was the situation, and the language everybody listened to and understood. Can you remember your first encounter with the music of Chopin? It was around five years old. I had a cassette tape – I think Deutsche Grammophon had a series for children where they got an actor to tell the story of the composer with different recordings. I think it was a birthday or Christmas present, and that was the first time I experienced it. I couldn’t pronounce it! Where did you meet Ólafur? I had never really listened to his music before, but I met him through a producer who used to be my producer at DG. When Ólafur started to talk about the idea he came across the Chopin Waltzes disc I had done, and he contacted me through the producer. In the beginning I couldn’t imagine the idea. I’m very careful with these collaborations, as I see myself as a core classical artist. What did you think of his music? When I listened to Ólafur’s music it had taste and style, and I really liked it, so we spoke on Skype and I ended up accepting the offer. I play the Chopin pieces as written, but it was good to get a little bit away from the perfect, stereotypical sound we get in recording these days. Everything is so clean and perfect, but in those days before recording it was not so important and everybody was closer to the artist. You don’t hear the pedals or the hammers in piano recordings any more, you just hear when the sound reaches the acoustic. Nowadays we have great instruments, and great halls, but with The Chopin Project we wanted to bring people back to really listen and get an intimate experience. It was an all-acoustic thing, and it was great for me. We are planning on a tour with the project. It’s so much fun! How much input did you have into Ólafur’s compositions? Almost nothing at all, he wrote them separately. The one track where I’m playing is where I play little ornaments, but this is his part of the album – me joining his project, his idea. I like the idea he didn’t do rearrangements and came up with original pieces, and I think the pieces with strings complement the ones with solo piano. He felt it was more appropriate for strings and the one track where he uses the solo violin. You said how important the more natural approach to recording was – do you think modern recording can be too clinical sometimes? It’s a very different sound experience, the concept is different. We tried to distance ourselves from how recordings are made today. It’s a great thing the technology is so advanced and everything is possible, but sometimes I wish for more live moments, and I like to record something with a natural flow. You will never get the same as experiencing the music live, but it is a lot closer to that. Will The Chopin Project bring his music to a new audience? I hope so, and I want it to bring in not just a new audience but the audience that have heard him one thousand times. I think it sits very well with the times we live in. Things are so perfect in those human moments, experiencing live music – these moments are very precious. The old audience gets a new perspective, and at some points in the recording I can even hear myself breathing. It makes it very human. You have worked and recorded with Francesco Tristano, who also crosses between classical and other forms of music such as techno. How did your collaboration begin? With Francesco it started out of friendship; and a passion we share for the music of Bach. I grew up with him aside from our passion for food. I had the idea to invite him on as a guest for a French Baroque album, and then for a Bach double album that didn’t work out. We decided to base a two-piano album around The Rite of Spring (given the title Scandale) and came across the music for the Ballets Russes company. These are some of the major pieces in classical music, so we chose Stravinsky’s Le Sacre du Printemps (The Rite of Spring) and found a couple that went with it. We have now played 30 concerts together, and we’re at a point where we don’t think about most of the music on the disc originally being written for orchestra. For me you enter a new world. We never can play without energy, and that’s the fun part. It’s very physical and we wouldn’t do it after an espresso or something! It’s all about dance music. It’s rhythmically very challenging but so fun. When we play it you see the audience react physically, moving their shoulders, and that’s so nice to see, that’s what music does and that’s the common language that goes beyond words, and makes you feel very privileged. I’m in London now for my performance of the Liszt Piano Concerto no.2, and then I move on to Shanghai, South America, the United States and then a couple more times to London. Francesco and I will come to London with Scandale. This entry was posted in Talking heads and tagged Alice Sara Ott, Ólafur Arnalds, Deutsche Grammophon, Francesco Tristano, Frédéric Chopin by arcanafm. Bookmark the permalink.